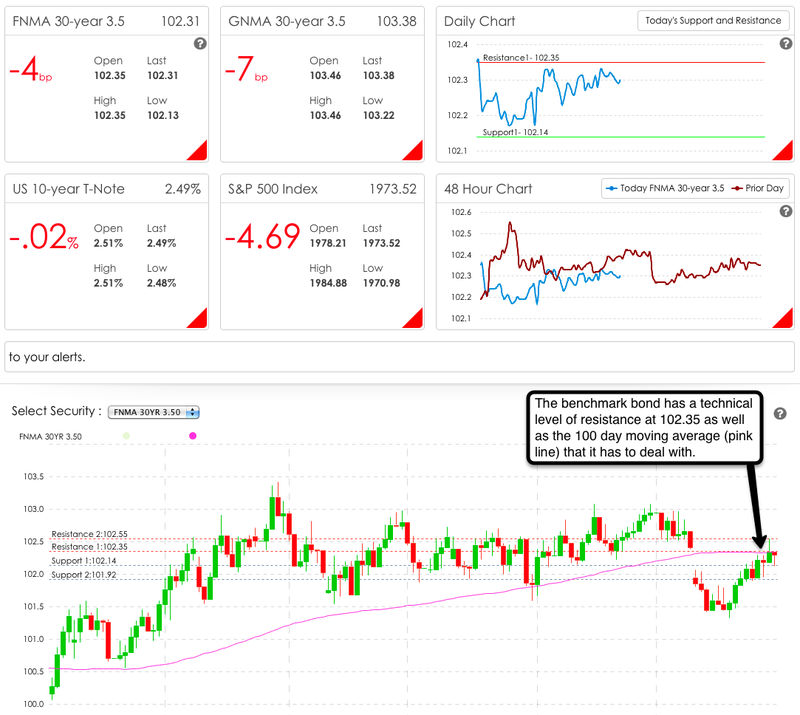 My thoughts on where we are headed from here: The benchmark bond is testing some fairly strong resistance levels after a nice run-up over the last several days. Additionally, the market is overbought so there is a good chance we could see some sell-off. Barring some really dour reports on jobless claims on Thursday and the employment report on Friday, look for the benchmark bond to sell off and rates to move hire. I recommend locking before the close of business on Wednesday - you could get a pleasant surprise on Thursday or Friday but I wouldn't count on it. Personal note: I will be out of town on Thursday and Friday with no access to the internet so there will be no report on the jobless claims or employment data until next week.